ALPCO (American Laboratory Products Company) provides nearly 1,000 innovative life science research tools for academic, industrial, and clinical use and specializes in high quality immunoassay kits. At its inception in 1990, ALPCO distributed one product in the United States. Within a decade of its founding, ALPCO partnered with more than 40 manufactures and grew its distribution network throughout North America. To further meet the needs of its customers, ALPCO expanded in 2004 with the advent of its Research and Development Division. Within three years, ALPCO launched its first line of organically developed enzyme-linked immunosorbent assay (ELISA) kits for insulin. 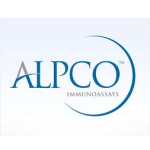 Since then, ALPCO has solidified its place in the domestic and international markets not only as a distributor, but also as a developer and manufacturer of immunoassays. An integral aspect of ALPCO as a distributor and manufacturer of life science research tools is to be active in the research community by supporting, collaborating, and publishing. ALPCO supports many major organizations around the world including the American Association of Clinical Chemistry and the European Association for the Study of Diabetes as well as regional organizations such as the Western Region Islet Study Group, the Midwest Islet Club, and the Boston Ithaca Islet Club. An important part of the ALPCO Research and Development Division is its collaboration with key opinion leaders in numerous fields of interest. Such endeavors have lead to numerous publications and recognition of ALPCO’s efforts to expand researchers’ knowledge base. To date, ALPCO has 25 internally developed ELISA assay kits on the market and several products under development that will be released within the coming years in order to meet the growing demand of researchers in numerous disciplines. As ALPCO continues to grow, we promise to maintain our commitment to providing high quality products and superior technical support you have come to expect from us. We thank you for considering ALPCO to assist you in achieving your research goals.